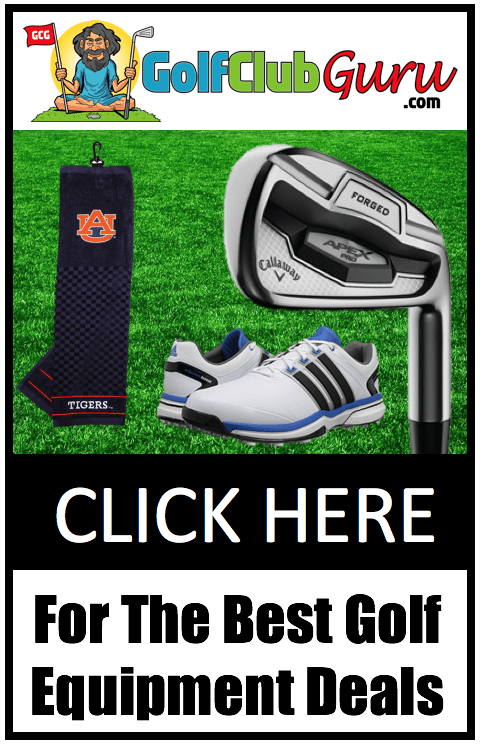 There are tons of golf club and equipment sites online. Many brag that they offer the #1 best deals. Problem is, all of them are wrong. 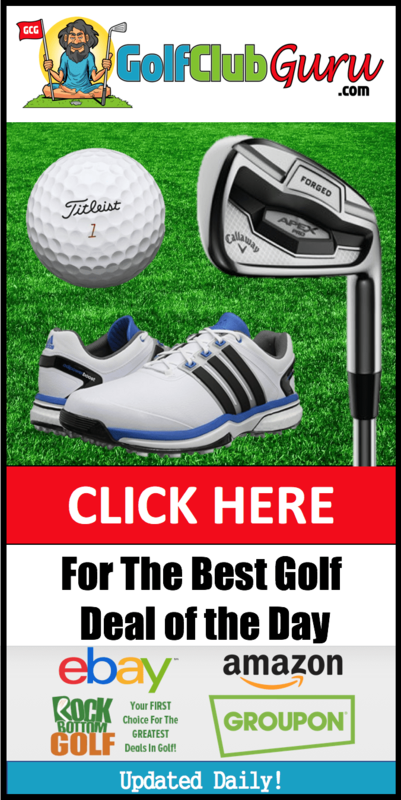 If you are looking for the best golf deals that you can buy, that would be eBay. eBay allows anyone to become an online seller. And with so many sellers selling the same items, every seller has a price war with the others. This results in some stupid low prices for great golf equipment. If you aren’t buying clubs for 70% off retail, you aren’t doing it right. However, you have to be careful when buying on eBay. There are tons of counterfeit clubs on there, so you have to be confident with who you buy from. I’ve sold over 20k of items on eBay, so I feel like I can offer some good advice on the subject. Rule #1: Only buy from sellers with 99% or more positive feedback. Rule #2 :Stick with the name brand eBay guys like 3balls golf, 2ndswing, justsaygolf, etc. They are very good at buying only authentic clubs, so you can be confident with what you buy. Rule #3: Buy slightly used clubs and balls. They are nearly just as good, as the savings outweigh the difference in quality. Plus, it’s less likely that the club will be counterfeit if it is lightly used. Rule #4: For the absolute best deals, find what you want, and wait for an auction to come around. This is where you will find the best deals. Especially when there is a misspelling in the title or if the auction ends at a strange (very late or very early) time. Rule #5: Make sure the listing has clear pictures of the ACTUAL club that you are going to be getting. If it doesn’t, you are taking a risk. Remember, though, eBay/PayPal almost always side with the buyer. So if the club doesn’t meet your expectation, return it for a full refund or get eBay involved if you need to. It will be a hassle, but you will get your money back. If you want to pass on eBay for whatever reason, then I’d suggest going straight to the ebay sellers’s website if they have one. Here are some of my favorites below, all of which I have personally bought from. Check their feedback. It better be 98% or more AT LEAST and have plenty of feedback. If they only have 500 or less feedback, look at it and see what went wrong with the neutral or negative feedback. Check their items in their store. The more golf items, the better. Do they sell mostly clothing and offbrand electronics from China, as well as 1 or 2 golf clubs? Not good. Google their eBay name. Check their website if they have one. You might find better deals there, as they don’t have to give roughly 15% to eBay/Paypal. Look for sellers that take very clear pictures of every aspect of the club. The more pictures, the better. And the more professional the pictures are, the better. Ahh, my personal favorite used golf club seller. They have an eBay store and their own website. Their ebay store is the better bet though, as you are given more pictures (or pictures that roughly represent the condition) of the club. The prices on eBay typically are a little less as well. They have around 99.5% positive feedback rate, and over half a million positive feedbacks. The clubs that I bought for them many years ago (2 Callaway Razr X Fit drivers) came in much better condition that I imagined they would. I expected more slight scratches and ground wear, like they mentioned I should expect. However, the clubs looked nearly brand new and I’m still using one of them to this day. I sold the other one to a friend for a quick profit. The guys at 3Balls golf are very knowledgeable. I asked a few questions about the shafts they had and received a very knowledgable message back, exactly what I was looking for. Overall, I am very pleased with their business and will be a lifetime customer. Dallas Golf: beloved by nearly the entire golf community, DallasGolf has always been a highly recommended seller of used golf clubs. They offer a great selection of clubs, mostly for Buy It Now on eBay. Similar to 3Balls, they have their own website, but I would go through eBay for the better deals and customer service. I wish they started their auctions at lower prices to entice more buyers, but I can understand starting them where they do to ensure they get enough money for them to make a profit. Years ago, I bought a Titleist 913 13 degree three wood from them for under $50, which was crazy at that time. It came well packaged and in incredible condition, just as pictured. I would definitely buy from them again. BudgetGolfer (not to be confused with BudgetGolf) is a great eBay seller. He offers a large selection of shoes, balls, bags, and clubs. I bought a pair of $50 Adidas golf shoes from him last year, and still wear them today. I’m not sure how he affords to sell his golf balls and shoes so low, but I’m not complaining! They also have many great complete sets for beginners available for sale for the lowest prices that I have seen at the date of this article. Cheers to them for offering such great prices. Although they have less than half the amount of feedback as 3Balls golf, Budget Golfer has around a 99.5% positive feedback rating. Pro Clubs is another fantastic eBay seller in the golf industry. They have a huge store filled with everything you can think of, from grips to expensive Scotty Camerons. My favorite them about them is that they take incredibly precise pictures for every listing. This gives great piece of mind that you know exactly what you are getting. In my opinion, their deals on irons are the most impressive. I bought a nice set of Mizuno JPX 850 pro irons from them for a couple hundred bucks, and don’t plan on replacing them for a long time. Well, those are my three favorite eBay seller. Who do you like? Let me know in a comment below, I’d love to hear from you! Nice post. I was checking continuously this blog and I am impressed! Extremely helpful information specially the last part 🙂 I care for such information much. I was seeking this particular information for a long time. Thank you and best of luck.